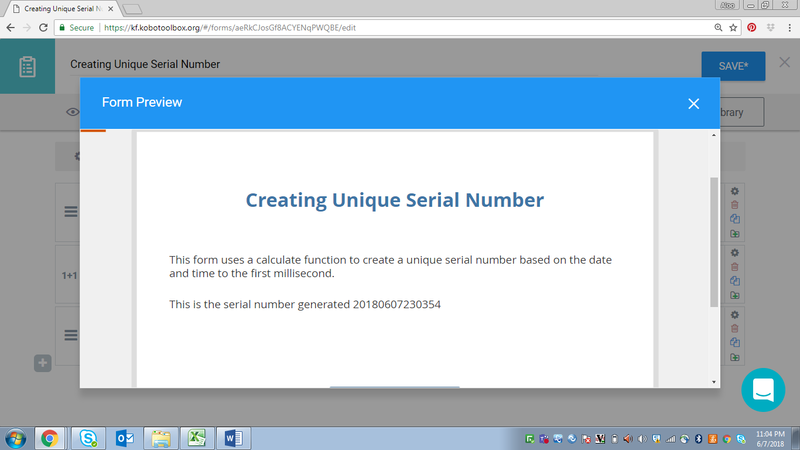 There are times you want to generate a unique serial number for each and every form that progresses sequentially in order, i.e. the smallest number was the first survey to be taken. Although this method may not meet all of your needs, it will give you an illustration of how much you can stretch calculate functions to achieve your needs. 2. 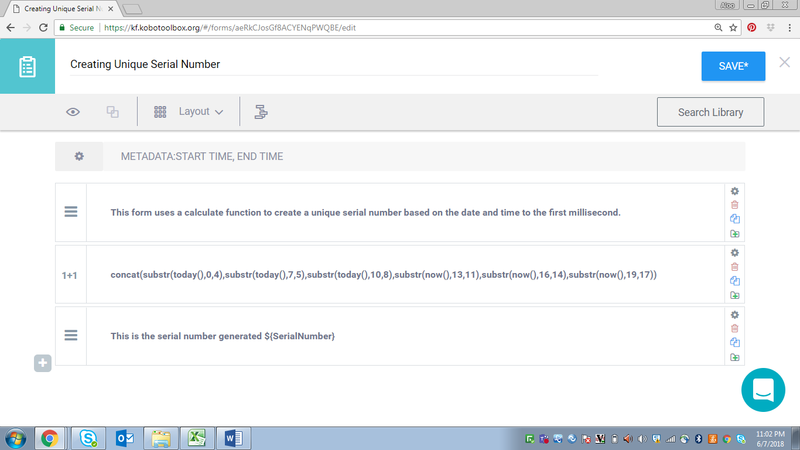 When you preview the form the serial number will be presented within the note question.